For the third year, the Jobs for America’s Graduates-Kansas Program at Emporia High School is receiving state and national attention. Based on 2015-16 school year results, JAG Specialist Ali Macias received a 2016 national High Performer Award and she is one of 20 JAG-K specialists to earn the 2016 Outstanding Specialist Award, according to Chuck Knapp, JAG-Kansas president. In addition, under the leadership of Mrs. Macias, EHS received a prestigious 5 of 5 Award for meeting or exceeding the five most critical performance measures for the JAG Program in 2015-16: Graduation Rate, Successful Outcomes Rate, Job Placement Rate, Full-time Jobs Rate and Full-time Placement Rate. The 5 of 5 Award is based on the post-secondary success of the 20 seniors who graduated in 2014. Students receive support from the JAG specialist for 12 months after high school graduation. This year, she will follow up with 18 students who graduated in May 2016. This year, 53 students are enrolled in JAG classes at EHS in grades 9 – 12. The awards were announced at the Jobs for America’s Graduates (JAG) National Training Seminar in Orlando, Fla. Representatives of JAG-Kansas plan to present the 5 of 5 Award at EHS sometime in September. Knapp said Mrs. Macias was nominated for the High Performer Award by JAG-K and her Regional Manager Diane Hoy-Webb. “She was nominated in the data category, but, as you probably know, she excels in many other areas,” he said. The award acknowledges not only student improvement data as well as more than 200 contact hours with students. “She attends all of their performances whether musical, band, or drama. She attends the sports events in which her students are involved. Ali goes above and beyond to make sure that her students are achieving. The school in which she serves has a high drop-out rate as well as high truancy, but she managed to graduate her students at the 90 percent level,” Knapp said. Macias takes her students on field trips to colleges, makes sure that they are committed to community service work, and job shadows events. Emporia JAG seniors received more than $48,000 in scholarships and students in grades 9 – 12 placed second out of 60 programs that competed in the Career Development Conference last fall. 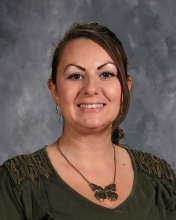 “Her program at Emporia High School is a success because this specialist is dedicated to making sure that her students are a success. In the words of the administrator at Emporia High School, ‘Ali is a rocket scientist!.’ He also stated that JAG is a success because Ali is highly respected by the administrators, faculty and staff,” he said. JAG-K collaborates with schools to work with students who have barriers to graduating, to help the students develop their full potential and get started on a career path past high school. In addition to completing high school, JAG students receive career development training to prepare them for opportunities in employment and further education or training programs that include technical school, apprenticeships and college. The JAG-K graduation rate is 93 percent. JAG-K is a 501(c)3 not-for-profit organization that is engaged in 29 Kansas school districts and serves more than 2,500 students. JAG-K is an affiliate of the national JAG program that operates in 32 states.